Visiting Los Angeles means you have the opportunity to watch a variety of sports games. From baseball to ice hockey to football, Los Angeles has a sports team for nearly everything. When you stay at Los Angeles Athletic Club, you’ll be close to the Staples Center - the home stadium for some sports teams such as the Los Angeles Lakers. If you love basketball, then be sure to root for the home team and cheer on the Lakers when they play at their home court. From now through April there are some games scheduled to take place at the Staples Center. 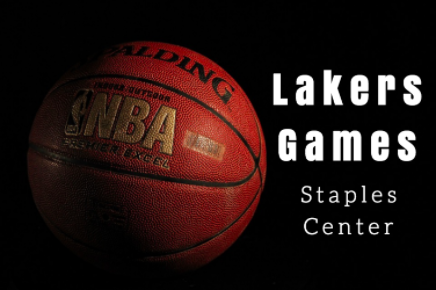 One upcoming event takes place on November 5th at 6:30 pm when the Lakers take on the Memphis Grizzlies. Throughout November. Other teams that they will play against include the Philadelphia 76er, the Phoenix Suns, the Denver Nuggets, the Chicago Bulls and the Golden State Warriors. In December, the Lakers will play against the Portland Trail Blazers, the L.A. Clippers, and the Houston Rockets among others. Enjoy a Christmas celebration with family and friends and watch the L.A. Lakers play against the Minnesota Timberwolves on Christmas evening at 7:30 pm. When you watch a game at the Staples Center, you can enjoy some places to eat from. Forget the days when concession stands only consisted of snacks and a hotdog. Now, the Staples Center provides top of the line options for you to enjoy. When you’re hungry, options include grabbing something from Blaze Pizza, B.S. Taqueria, Dave’s Doghouse, DTLA Sports Bar and Grill, McDonald’s, Ludo Bird, Wetzel’s Pretzels and more. You also have some adult beverages options such as Tap Haus where you can find a wide range of drinks on tap as well as Goose Island, Golden Road Brew House, Figueroa Bar, Cooler by Budweiser and more. Stop by the Staples Center to catch a game today.